​Perhaps no fanbase has had a knife stuck in their chest and continually twisted more than that of the New York Giants lately. With Landon Collins walking and 38-year-old quarterback Eli Manning returning, many fans were skeptical of their outlook for the 2019 season weeks ago. Then, out of nowhere, the team ​tra​ded superstar wide receiver Odell Beckham Jr., sending fans into deep state of agony and depression. ​General manager Dave Gettleman and head coach Pat Shurmur have gone on the record to say that they approved of the trade. So what about ownership? 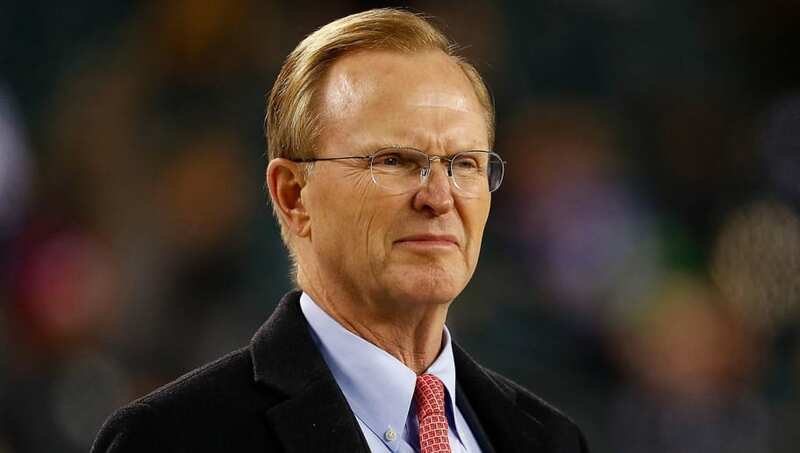 During the NFL owners meetings on Sunday in Phoenix, Giants owner John Mara spoke about how hard the decision was to move on from Beckham. The owner even said that his grandkids were "sobbing uncontrollably" after he told them. One of Mara's grandkids was so upset, in fact, that they haven't spoken to Mara since. ​​It's a pretty safe assumption that Giants fans don't fault them for not speaking to "Grandpa" Mara. The team owner said he was "reluctant" to make the decision, but trusted Gettleman and Shurmur's judgement to take Cleveland's offer. However, he did say that it was going to be hard to see Beckham play on another team, especially considering the Browns are built to win in 2019 (editor's note: DOY). Mara might have thought he was easing the pain of Giants fans and season ticketholders. Instead, he might have enraged them further with his thoughts on Beckham, Manning, and "rebuilding."